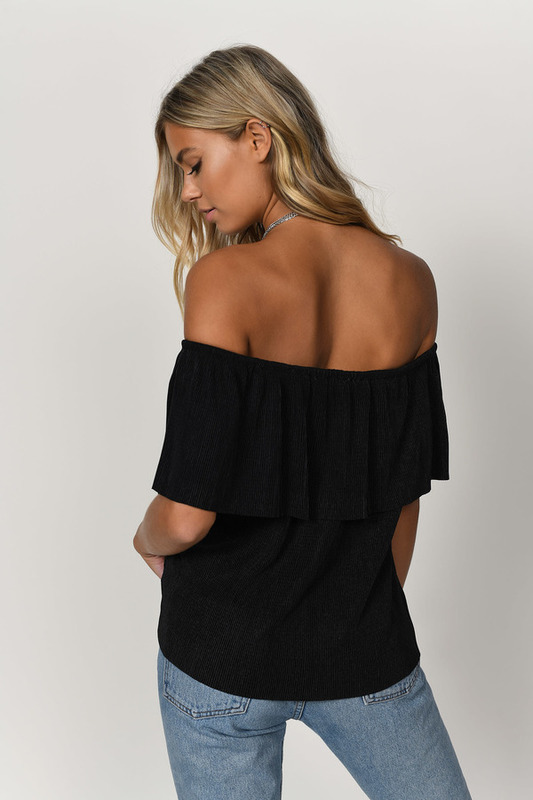 Check out Tobi's Claire Off Shoulder Blouse Bring your LA style game to date night with the Black Claire Off Shoulder Blouse. 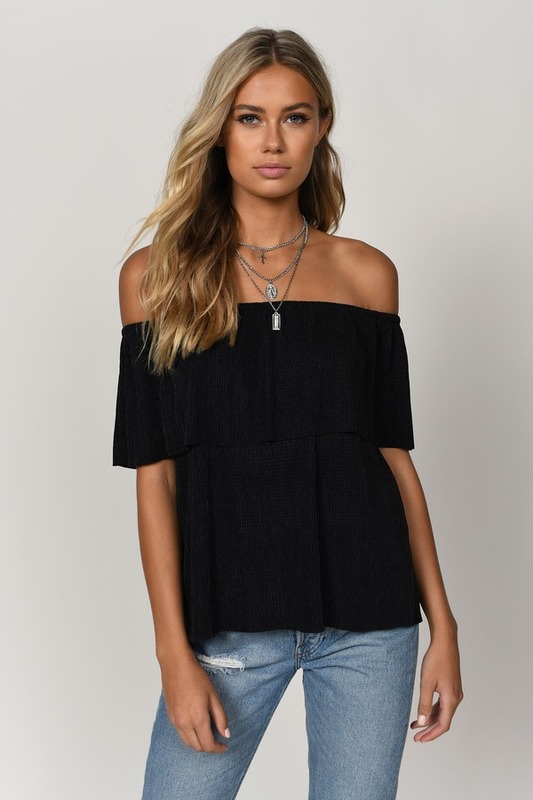 This luxe pleated top has an elasticated off shoulder neckline and a floaty top tier for feminine feels. Step out with this festive blouse and feel special. 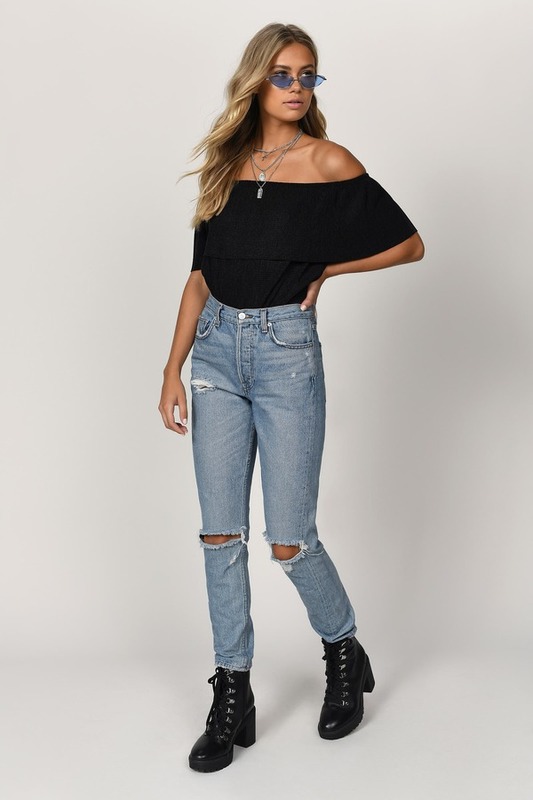 Bring your LA style game to date night with the Black Claire Off Shoulder Blouse. 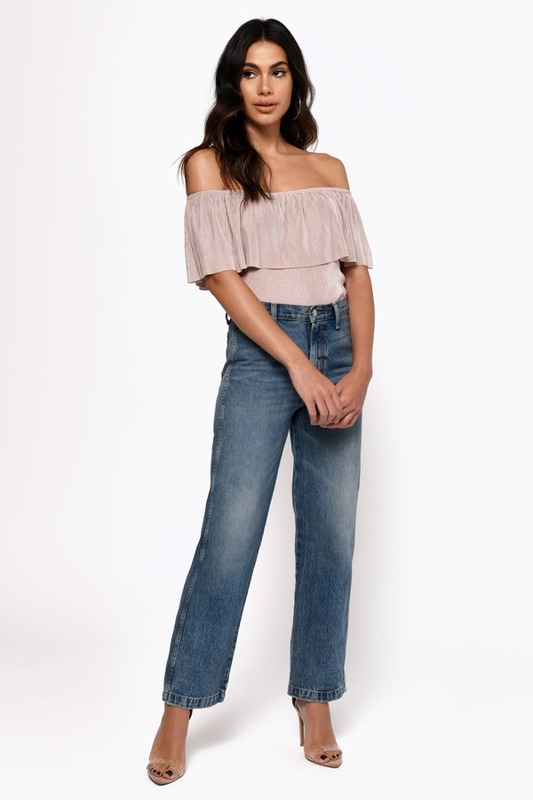 This luxe pleated top has an elasticated off shoulder neckline and a floaty top tier for feminine feels. Step out with this festive blouse and feel special. 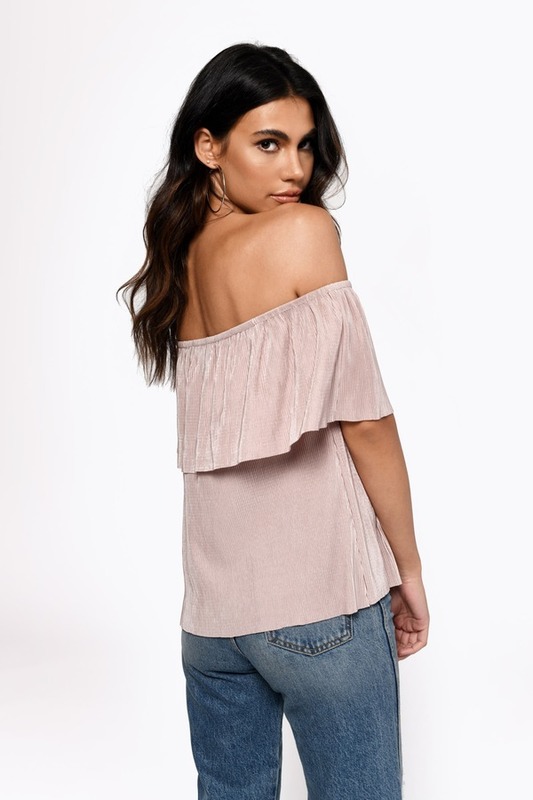 Bring your LA style game to date night with the Champagne Claire Off Shoulder Blouse. 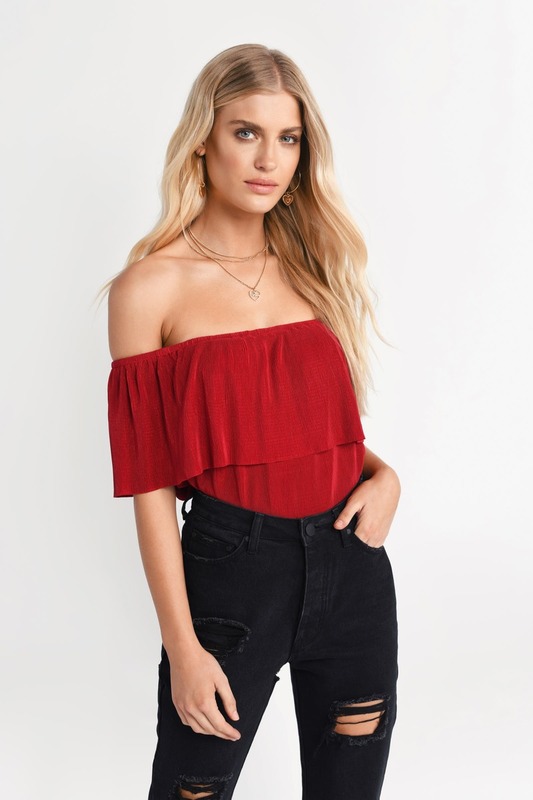 This luxe pleated top has an elasticated off shoulder neckline and a floaty top tier for feminine feels. Step out with this festive blouse and feel special. 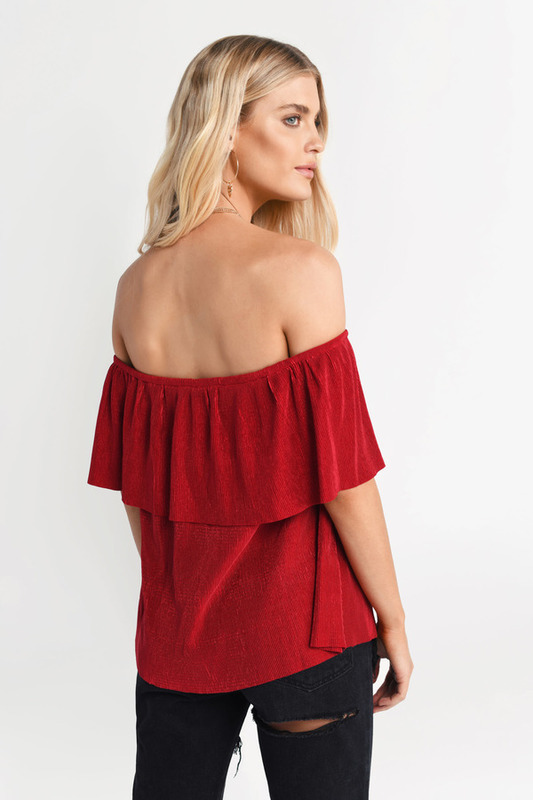 Bring your LA style game to date night with the Red Claire Off Shoulder Blouse. 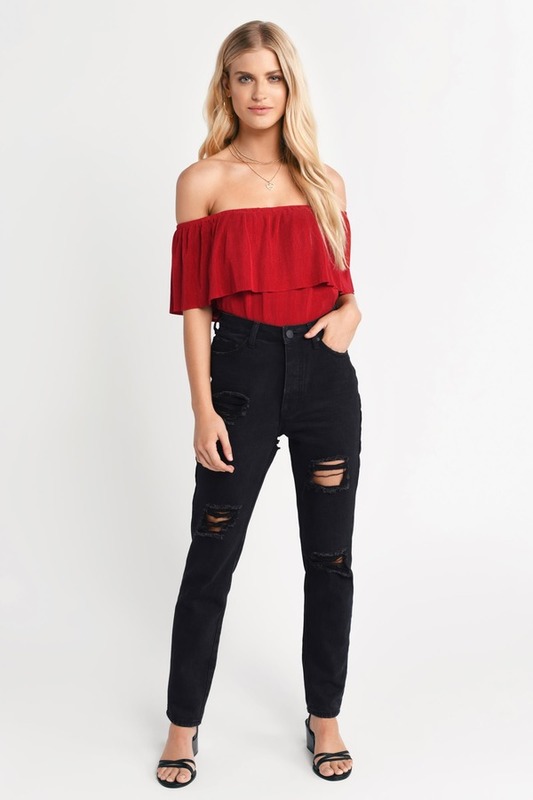 This luxe pleated top has an elasticated off shoulder neckline and a floaty top tier for feminine feels. Step out with this festive blouse and feel special. Champagne modeled on a size Small.